Happy 2014 everybody! I hope you all had a fabulous holiday season and enjoyed ringing in the new year…whether you were doing it while “resting your eyes” on the couch or toasting champagne at a fabulous party! Now, it has come to my attention lately that several people (ahem, my husband) aren’t a fan of the whole New Year’s hype and find the whole ordeal “anti-climatic.” To this I say for shame! I will be the first to admit, it’s not as big of a priority as it once was for me. Planning out an outfit, making sure I had a big-ticket party to attend, staying out too late, etc. However, I still love getting together with friends to celebrate – whether it’s a big festive gathering or a few of us eating dinner, putting on PJ’s and playing games! I just love the idea of a fresh start – a new chapter if you will. Some may say if you want to have a goal or if you want to do something, just do it. But honestly, it’s nice having that reset button programmed on my calendar. For me it’s like having a brand new notebook on the first day of school (I am a huge nerd and still get excited over new notepads, pens etc.). It’s clean, it’s new and it’s just waiting to be written on – so what mark will you make on 2014? One of my major resolutions is to focus on myself. That sounds really selfish when I put it out there like that…but I mean more about my “self”. I ate with reckless abandon over the holidays and putting on work pants this week showed me that I’m definitely paying for it. It’s been a few years since I’ve been to the eye doctor. I have lived our house for about 4 years and still haven’t really put anything up on the walls. I want to make our house a home. I want to stop squinting when I’m driving at night. And I want to shed my holiday weight (plus a few pounds I’ve picked up from the past year) – I want to be content in my own home and in my own skin. So – there you have it. I’m going to be cracking down on myself, but y’all will get to benefit because I have some cooking to do! It’s 2014 people. 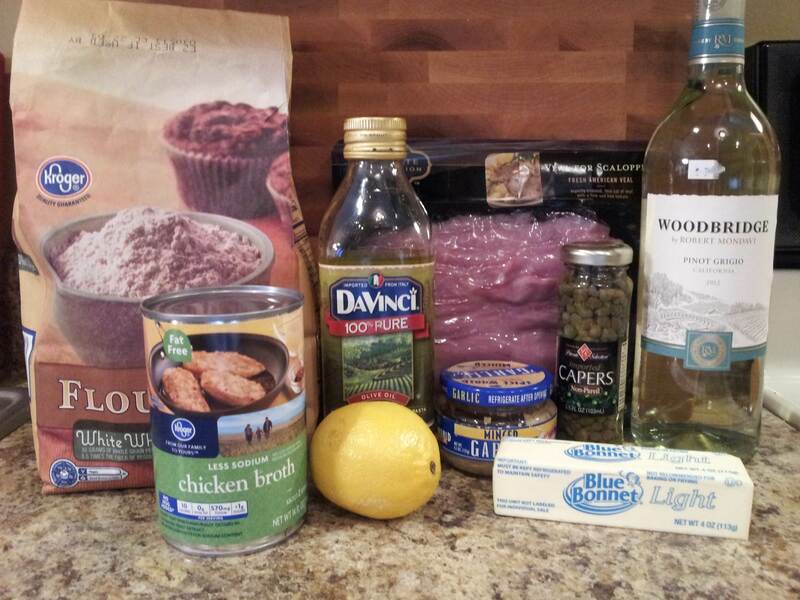 Time to get to it and make some changes…starting with a favorite recipe of mine that has been changed into a delicious, light and healthy dish! You can use this for any special occasion, or just a Saturday night meal with a glass of wine watching a movie. It’s easy. It’s elegant. But best of all it’s not loaded with fat and calories. 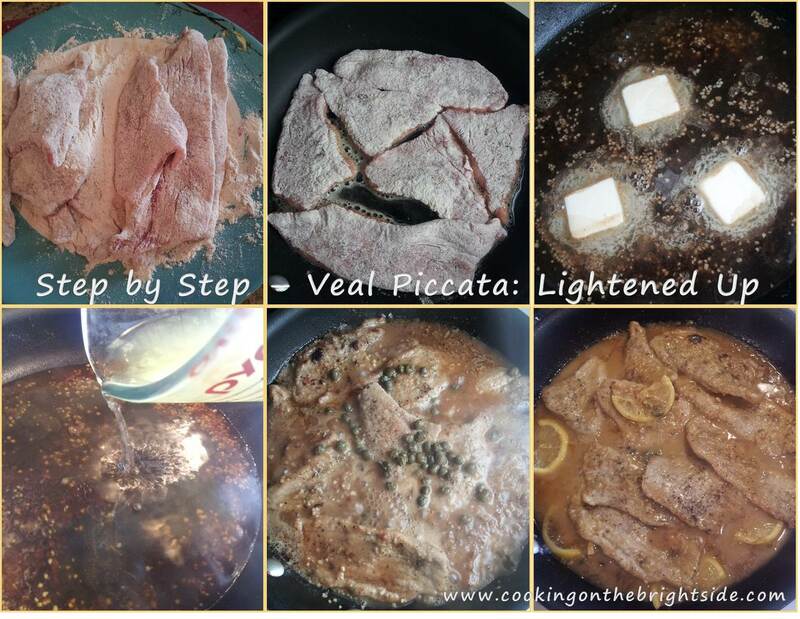 Begin by sprinkling veal slices with salt and pepper. Then press into flour, shaking off any excess. Heat oil in a large skillet over medium heat. Add veal cutlets and cook 3-4 minutes per side until cooked through. You may need to work in batches – they do cook down quickly. Remove cutlets and set aside. De-glaze pan with white wine and add garlic. Swirl and let heat for about 1 minute. Add butter, allowing it to melt, and then adding chicken broth and capers. Stir and allow to thicken for about 2 minutes, then add in lemon juice, lemon slices and veal. 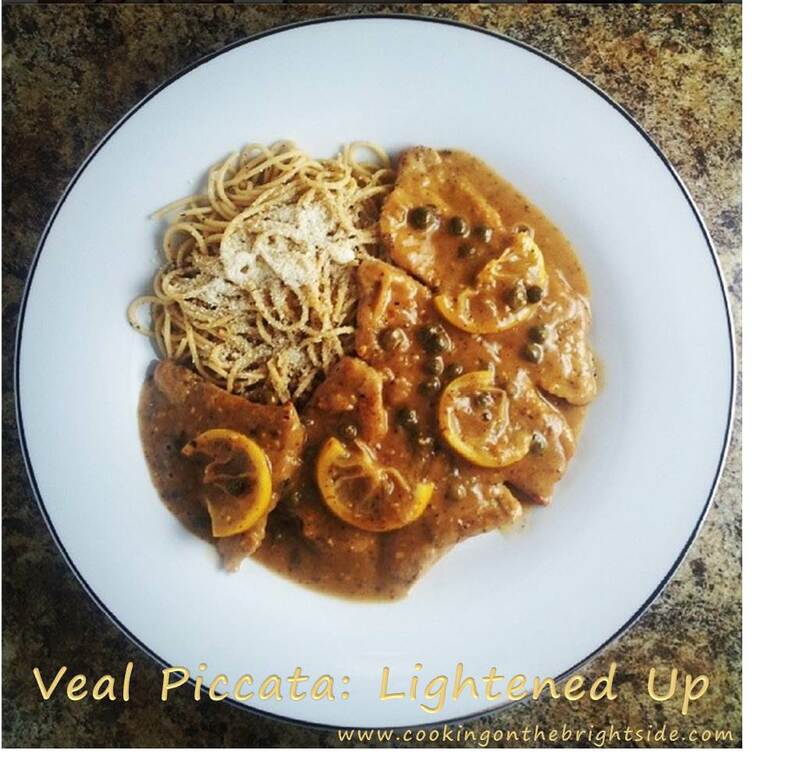 Allow veal to reheat in the sauce for 2-3 minutes and for the sauce to thicken slightly.